Axe Cop is the franchise that won’t quit. What started as a personal comic for friends and family became a popular webcomic, which was then published by Darkhorse comics, and is becoming a cartoon in July. Now Axe Cop is getting its own toyline from Mezco toys. It’s a genius move, because the Axe Cop stories are filled with crazy looking heroes and villains. When a comic has vampire werewolf ninjas from the moon, you know you have a potential toy line. The action figure line will consist of three 4” figures and a bunch of accessories. Obviously the first figure in the line is Axe Cop. An Axe Cop figure really only needs to be packaged with one thing, an axe. 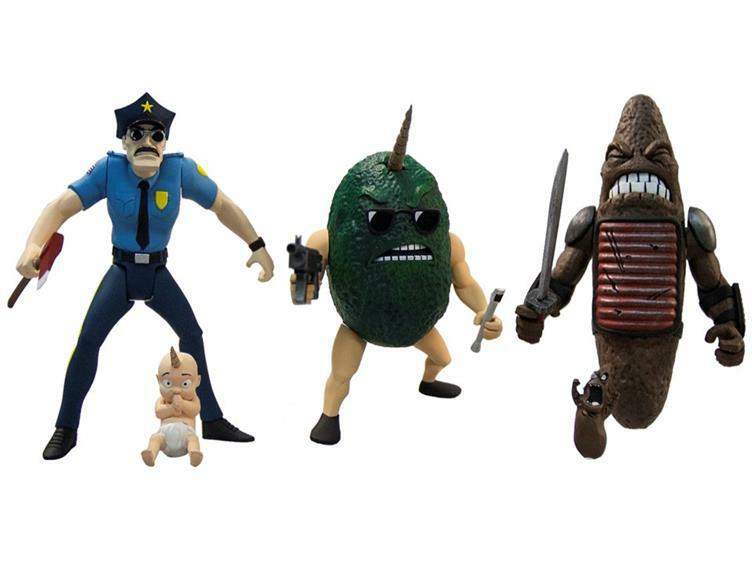 Mezco is being awesome though and Axe Cop comes with an axe, a poopsucker gun, Uni Baby, and a lemon grenade. 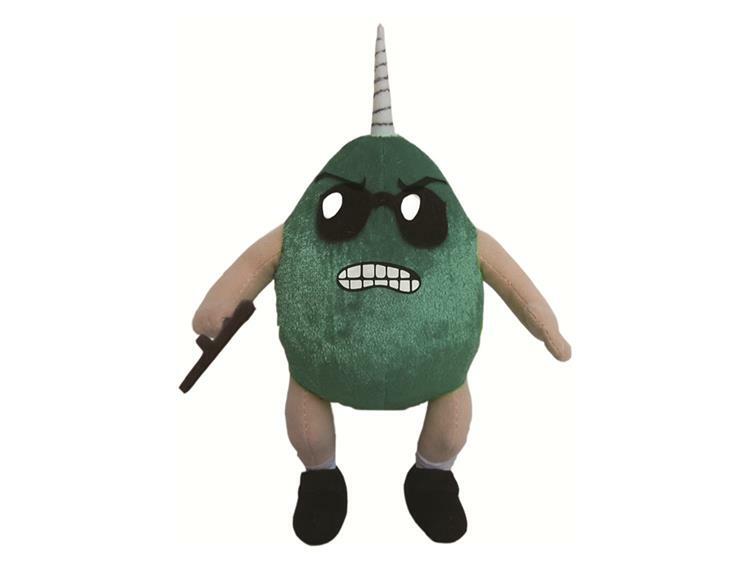 Avocado Soldier comes with a flute, machine gun, and a removable unicorn horn. Dr Doo Doo comes with a Doo Doo soldier, stands, and a sword. 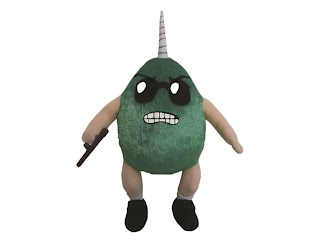 If you’d prefer your Avocado Soldier in plush form, you can do that too. The 8” plush doesn’t come with as many extras as the action figure version but is probably much nicer to hug. That’s if you want to hug a flute playing cop who briefly was a dinosaur before being transformed into a giant avocado. 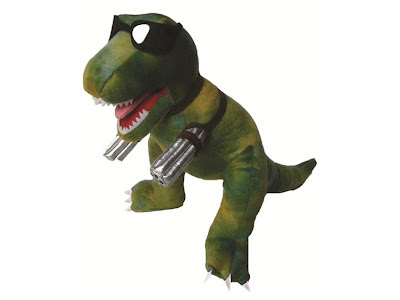 The real star of the toy line is going to be Wexer. This 12” plush T-Rex is wearing sunglasses and has machineguns for hands. I can see people who have no idea who Axe Cop is still buying this just because of how awesome it is. The 4” Axe Cop would look pretty good riding on it too. I can already see him stomping on Doo Doo Soldiers.
" I can see people who have no idea who Axe Cop is still buying this just because of how awesome it is."